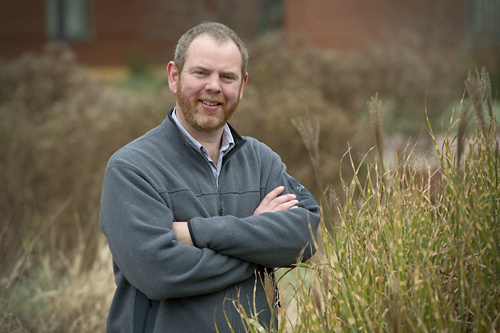 Professor Nigel Raine has discovered that exposure to thiamethoxam reduces the chances of a bumblebee queen starting a new colony by more than one-quarter. Published this month in Nature Ecology & Evolution, the study was conducted with Gemma Baron, Vincent Jansen and Mark Brown from Royal Holloway University of London. Neonicotinoids are among factors contributing to the decline of bees and are currently being phased out or restricted in a number of countries including Canada. The researchers exposed more than 300 queen bees to environmental stressors common in the field including parasite infections. Roughly half of the queen bees that successfully emerged from hibernation were then fed syrup treated with pesticide at levels similar to those found in wild pollen and nectar for two weeks. The researchers then recorded the bees’ egg-laying behavior and mortality rates for at least another 10 weeks. The queens exposed to pesticides were less likely to start colonies. Using a mathematical model, the researchers found that a 26 per cent decline could threaten extinction of wild bumblebee populations.